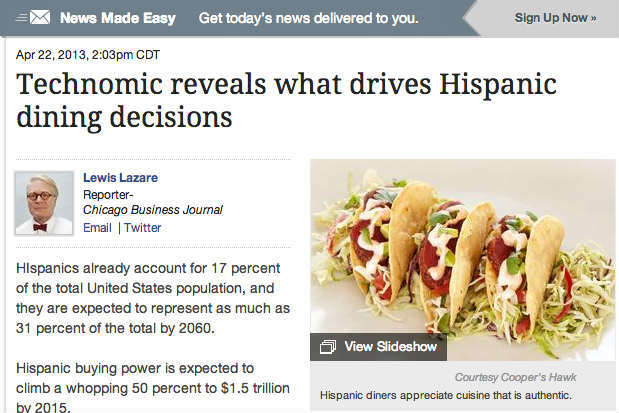 But that is not all: According to said research, “Hispanics value authenticity in a restaurant too,” which basically means they would pay more food described as “authentic,” which –according to photo editors at the Chicago Business Journal— means American-style, hard-shell tacos. 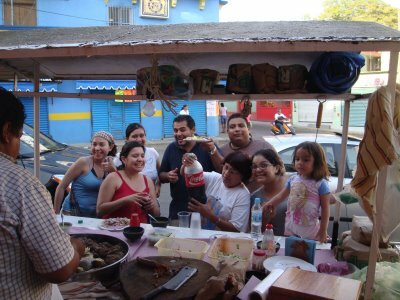 This entry was posted in Food, Latin America, Research and tagged Hispanic food, Research, tacos. Bookmark the permalink.